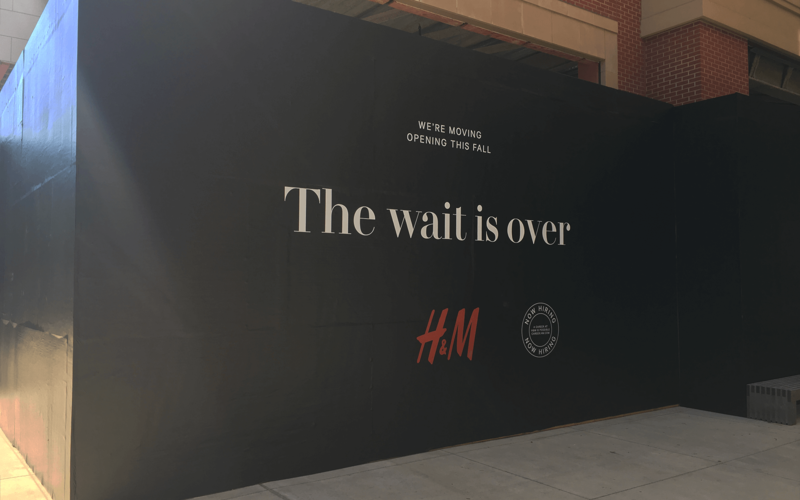 H & M, Hennes and Mauritz Inc., one of the world’s largest fashion retailers famous for offering fashion and quality at the best price in a sustainable way, is happy to announce a new and larger location at Crocker Park in Westlake, Ohio. Increasing in size by approximately 6,000 square feet, the new H&M is set to join the 15 popular H&M destinations in the state on November 10th, 2018 at noon. The new H&M location will offer Westlake residents a one-stop shopping destination for quality clothing, with collections for ladies and men, with a separate “shop in shop” section for accessories. This location will also carry the H&M Kids collection for newborns to 14 year olds. No matter your personal style H&M makes it easy to always find what you are looking for by offering something for everyone. To celebrate the new store, customers at the H&M at Crocker Park who make a purchase will receive 25% off their purchase on grand opening day only. Customers who participate in garment collecting on opening day can also enter to win a gift card from $50 to $250 dollars. H&M looks at retail as a career and not just a job. We pride ourselves on our support of local economies by adding jobs with each new location. With the opening of the new Crocker Park location, H&M is proud to employee approximately 20 employees for this store. In 2017, H&M was the highest ranked fashion retailer on Forbes America’s Best Employers list and appeared on Business of Fashion’s list of Best Companies to Work for in Fashion. For available job opportunities, please visit career.hm.com. Sustainability is a natural part of H&M. In 2013, H&M was the first global fashion company to launch in store Garment Collecting. In 2017 alone, H&M U.S. diverted over 2.5 million lbs. of unwanted textiles from landfills. The company is proud to say that all its stores in the U.S. are powered by renewable energy.